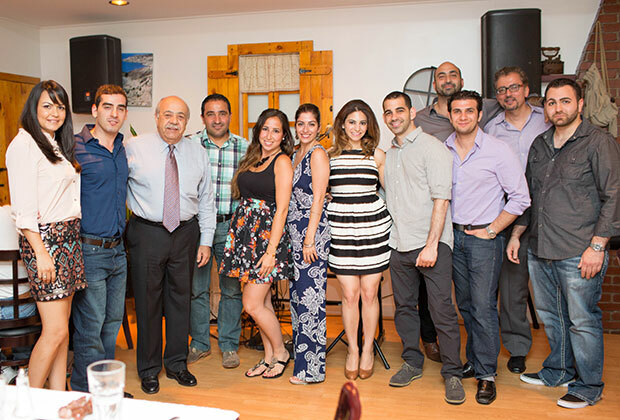 This past June, in conjunction with the Cypriot Young Professionals (“CYP”) of the CYPRUS-U.S. Chamber of Commerce’s 1-year anniversary event, young professionals and friends gathered for a night at KOPIASTE Taverna in Astoria, New York to celebrate the inaugural year of the organization while at the same time, bringing awareness to the Cyprus Society for the Protection of Spastic & Handicapped Children (“CSPSHC”). A private non-governmental organization and a charitable institution founded in 1969, the CSPSHC opened its doors of “ANEMONH” as the first rehabilitation center for children in 1982. The first one of its kind in Cyprus to accommodate children of the ages between two and fourteen where most of the those who use the services are born with cerebral paralysis, the CSPSHC helps these children after some time to go into main stream school or special education units after completing their course of treatment. The rehabilitation center’s operating activities are funded through contributions from the Government of Cyprus and charitable donations from fundraising events. Due to the financial turmoil in Cyprus, the decrease in government spending, and the citizens of Cyprus not being able to donate what they could in the past; the rehabilitation center is not able to cover its operating costs. In its effort to remain in operation, the CSPSHC partnered with CYP in order to raise awareness and funds. Supporting worthwhile and important causes throughout the year including Cyprus Children’s Fund and the Cyprus Society for the Protection of Spastic & Handicapped Children has been one of CYP’s main focuses throughout its inaugural year while building a foundation for success by implementing impactful initiatives such as monthly networking events that highlight and celebrate specific young professionals and their accomplishments to date to, round-table discussions, to meeting the President of the Republic of Cyprus Nicos Anastasiades as well as other notables within the Cypriot Community. A night of dinner, speeches and dancing, the CYP 1-year anniversary event was filled with Cypriot and Greek American young professionals, notable members of the Hellenic community as well as CYPRUS-U.S. Chamber of Commerce leaders, including Mr. Andreas Comodromos (one of the founding members of the CYPRUS-U.S. Chamber of Commerce), Mr. Nicolas Nicolaou, Mr. Michael Hadjiloucas and Mr. Constantinos Leontiou. 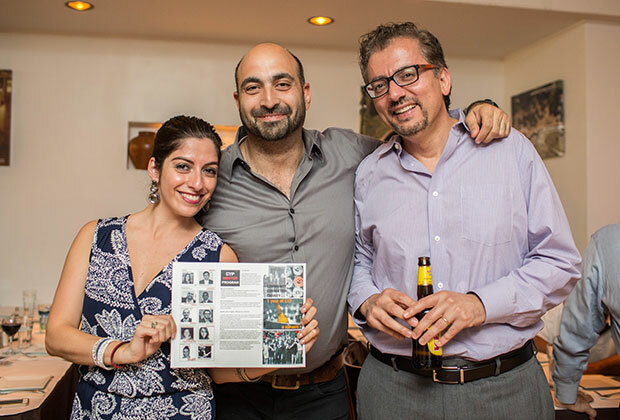 As the Young Professionals of the CYPRUS-U.S. Chamber of Commerce (a non-profit membership organization dedicated to promoting trade and investment between Cyprus and the United States), through its first year, CYP has continued to carry on with its mission to foster business opportunities and create closer ties amongst its members and the great business community in the United States. In addition, the organization has allowed inclusiveness within the board – through CYP hosted events and it has come across great individuals that we have been able to plug into CYP’s leadership. Because of that approach, the first year has delivered a diverse group of leaders; never short of great ideas and the ability to get it done. 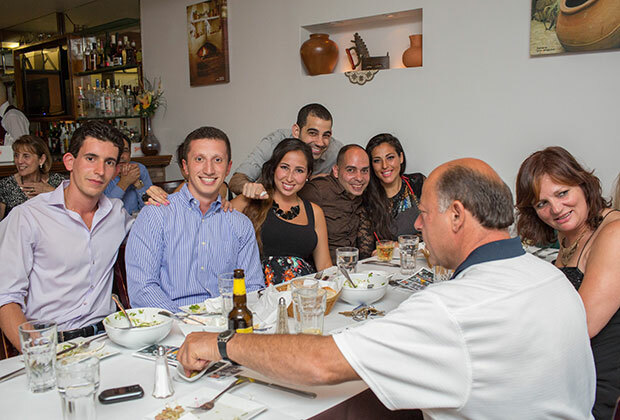 The next generations of Cypriot and Cypriot American professionals are utilizing their natural and innate drive for success and dedicated work ethic to create their own career paths and accomplish new goals, which to past generations may be professions that are more out of the box. CYP looks to continue and push this trend of accomplishment and entrepreneurship in the community by engaging the young generation by launching the highly anticipated CYP Mentorship Program. Launching in fall 2014, the CYP Mentorship Program is intended to offer the opportunity to a university student or a young professional (‘mentee’) to develop a professional relationship with somebody who has several years of experience (‘mentor’) in the field of interest of the mentee. The program will establish a structured and formal relationship where individuals share ideas and experiences within the context of the mentee’s professional development goals. Mentors are chosen from this pool based on their capacity to represent young professionalism and entrepreneurship in their relative fields or disciplines. The program will launch with ten CYP members of CYP ranging from the following professions: Accounting, Audit + Tax, Architecture + Design, Art + Non-Profit, Education, Finance, Law, Marketing + Public Relations, Music, as well as Politics + Advocacy. Furthermore the program will provide venues for open discussions and lectures on broader topics that relate to professional development. These discussions will also aim to introduce and to highlight the achievements and experiences of long standing members of the community by inviting those members to engage in discussions and meetings for the benefit of the mentor and mentees. 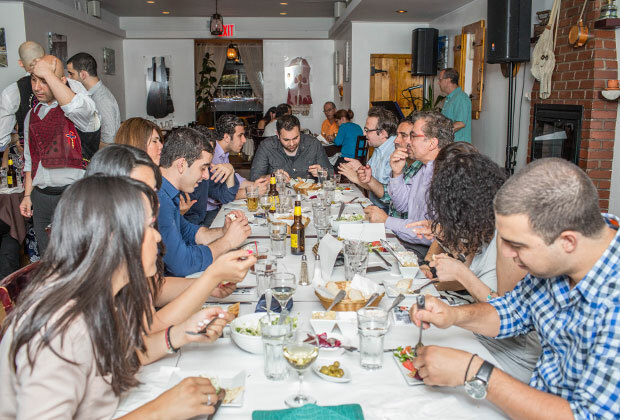 Within the context of the work of the Chamber, this program aims to cultivate lasting relationships between long-standing members of our community, the fledgling Youth Committee and those young Cypriot professionals who are seeking to begin their careers. * Laura Neroulias is President of the Cypriot Young Professionals (“CYP”) of the CYPRUS-U.S. Chamber of Commerce.